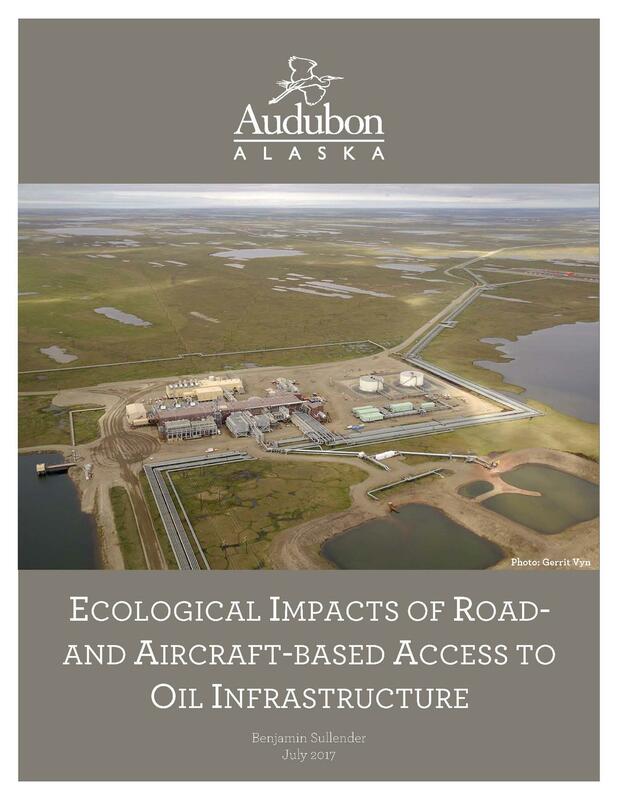 Audubon Alaska's new report, Ecological Impacts of Road- and Aircraft-Based Access to Oil Infrastructure, assesses road-based and aircraft-based transportation options for oil and gas extraction in terms of their impacts on Arctic wildlife. Historically, oil fields have been developed using a combination of gravel roads, winter-only ice roads, and aircraft. More recent drill sites such as ConocoPhillips’ CD-3 demonstrated that it is possible to produce oil from a site with no permanent road connection to other infrastructure. Projects currently in the permitting phase have also considered aircraft-only access as an alternative approach. Whether oil and gas infrastructure is accessed by roads or aircraft, there are direct and indirect impacts on wildlife. This report looks at those impacts on caribou, geese, loons, eiders, shorebirds, and freshwater fish.